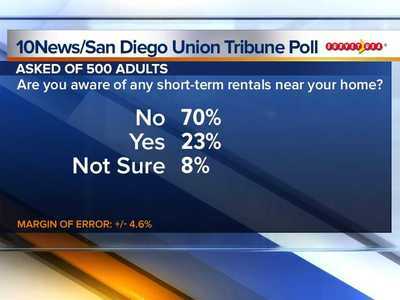 SAN DIEGO, Calif. (KGTV) -- Despite the recent battle over short-term rentals in San Diego, property owners continue to make big bucks. 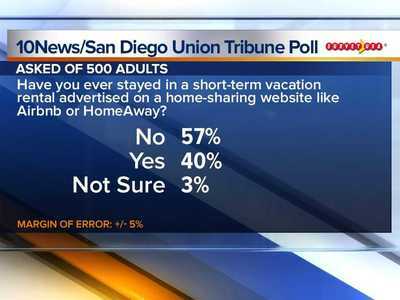 Data from Airbnb found that San Diegans earned $5.2 million over Labor Day weekend as they hosted 15,000 travelers. On top of that, economists say short-term rentals contribute more than $480 million to the San Diego economy in addition to the 3,000 jobs vacation rentals support, according to Airbnb. 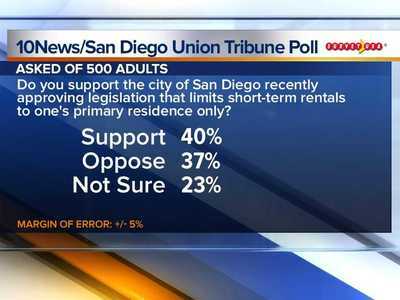 Over the summer, the San Diego City Council voted to establish regulations for short-term rentals. 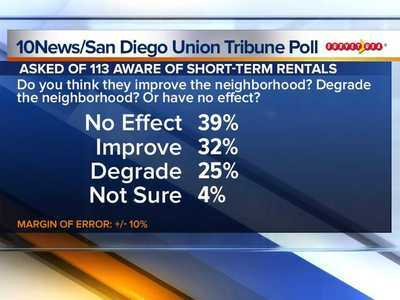 Mayor Kevin Faulconer said after the vote that the regulations are part of an effort to protect neighborhood quality. The rules create a license-based system that manages rentals, charges fees to administer licenses and enforce code violations. 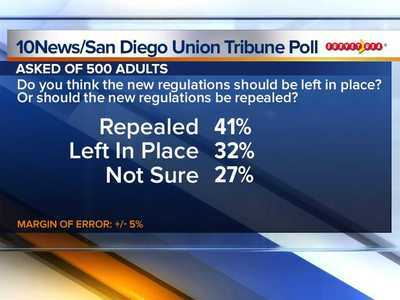 Opponents of the regulations say the council violated the Brown Act by making significant changes to the original proposal before voting on the measure without allowing for more public comment. The fight over the rentals heated up even more when Airbnb, along with Share San Diego and HomeAway, teamed up to gather signature for a referendum. If enough signatures are collected, the issue will go on the 2020 ballot.